Sofia Seitchik shines brilliantly spotlighting other Deaf Women. VZP Digital is a huge advocate and supporter of the Deaf and DeafBlind community. Our passion is making content accessible to this audience no matter where they need it. We are a C.A.R.E organization, which stands for Community, Awareness, Responsibility, and Education. 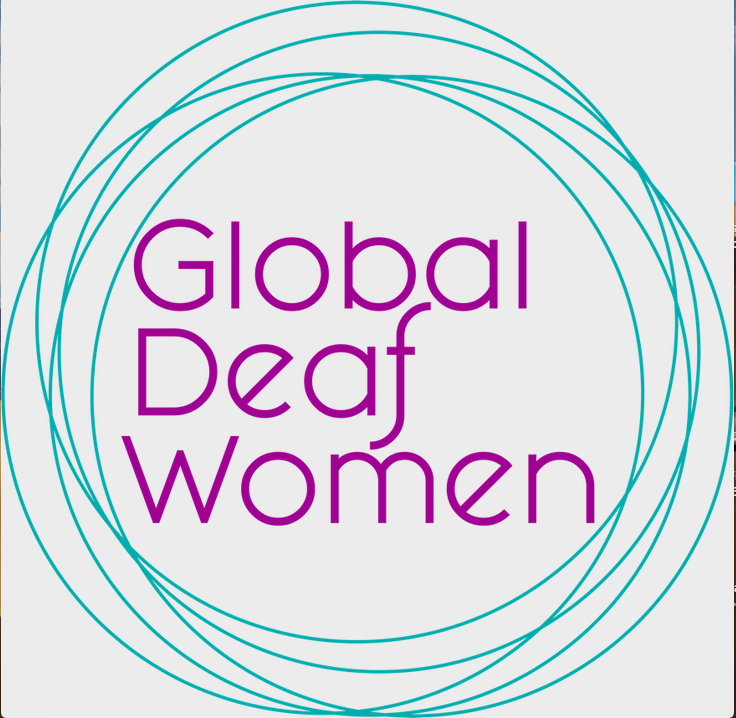 This month we proudly feature Sofia Seitchik, who is the founder of Global Deaf Women. Sofia Seitchik has been making huge waves in the Deaf community with her work as an inspirational business mentor, mindset, vision coach, and advocate who works with Deaf Women who use sign language. Naturally, Sofia shines brightest when she is helping others share their inner light with the world. They want to make a difference but may need more vision, passion or prosperity. With Sofia’s guidance and connections, more Deaf Women than ever can receive support with business and life, using a language they can understand. When she first started her business in 2008, finding other Deaf Women and mentors to connect with was challenging. There were not enough Deaf stories, mentors, or events for the Deaf community to network. 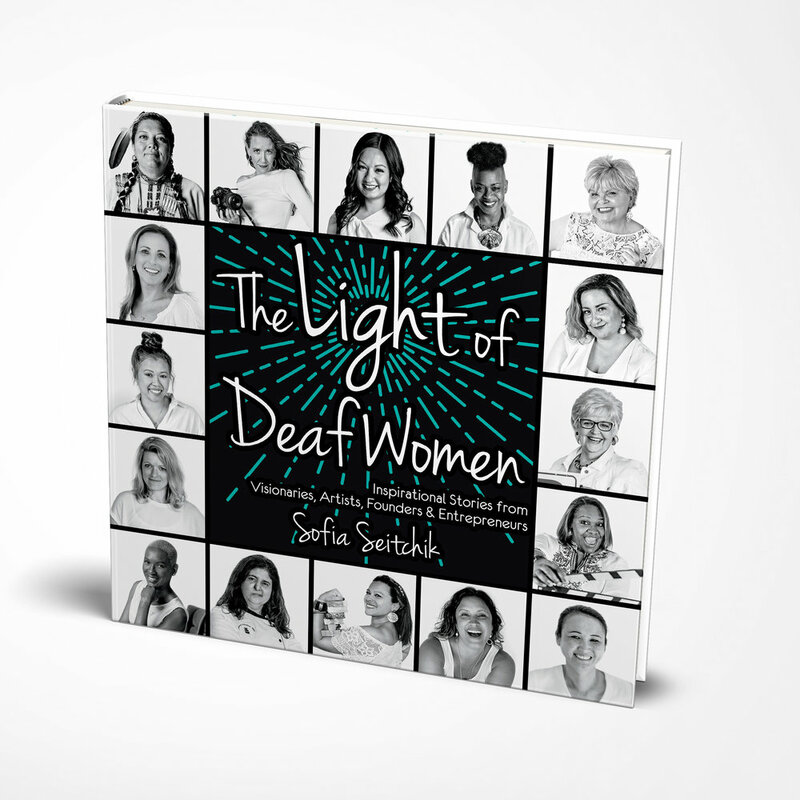 That inspired Sofia to write a book to show Deaf Women what they are capable of, to give them light and hope. Sofia is a continuous learner who enjoys attending conferences to expand knowledge for herself and her life. She has a “go-with-the-flow, pick your battle” mentality. When she watches training videos or presentations without captions, she’ll request a transcript. If she sees auto-captions on content that are not perfect, she still appreciates it because it’s better than nothing. During a setback in Sofia’s business a few years ago, it forced her to focus on what was truly important to her. “It was blank. There was nothing there,” said Sofia. She had lost her business training online, milestones such as “Power of Me” retreats, business pitch competitions, inspiring stories, and interviews with Global Deaf Women. She tried everything to recover her website that vanished while she was transferring it to a new host. But it was no use. She had to accept that 9 years of her work was gone. It was a big loss, but instead of dwelling on it, she decided to let it motivate her to finish writing her book. “The Light of Deaf Women” was completed with an amazing array of stories of accomplished, strong, independent Deaf, Hard of Hearing and DeafBlind visionaries, artists, and founders who use American Sign Language, including the famous academy award-winning actress, Marlee Matlin. Sofia’s book officially published in December 2018 after a successful Kickstarter campaign in May 2017 that sold 500 books in 30 days. Every woman has an inspirational story to tell, sharing many of the same struggles. They all move towards success, overcoming obstacles with perseverance. They offer invaluable advice and resources for the Deaf. Now Deaf Women everywhere can have hope that they can pursue their dreams. Sofia recently moved with her Deaf husband and two sons to a new house, in a new state. It’s a mecca for the Deaf located outside the Washington DC area where they can use sign language everywhere. They have many Deaf sign language simulators. They can hire Deaf professionals to work with and fix things, just one of the among the cool perks of having a Deaf ecosystem in DMV. Sofia hosted seven “Power of Me” retreats for empowerment that was put on hold while she visited 20 different countries with her family, including Europe, India, Asia, Israel, Morocco, Egypt, and Jordan. While traveling, she tirelessly worked on her book at night with her team because of the different time zones. She focused on stories, layout, and cover design. It wasn’t an easy task to juggle working while traveling with family, homeschooling, and arranging travel, but she proudly accomplished it! It was a rich experience for her and her family. Now Sofia is ready to get back to business helping clients, finding her routine as things start to settle down and get back to normal. She works from home, frequently traveling to do workshops and presentations. Her plans for the future include writing a second book to spotlight international Deaf Woman she meets through business, networking, following her passion for exploring new places, friends and food. VZP Digital is a Latino-owned captioning, transcription and translating corporation that proudly provides access to communication for the Deaf, Hard of Hearing, and DeafBlind community. Do you need captions, translations, or transcripts for live events, videos, and broadcasts?